An Offshore Company refers a corporation, LLC or similar class of entity formed in a foreign country to that of the principals of the organization or one that can only operate outside of its country of formation. This article provides information to help one understand the definition of the term “Offshore Company” and to describe how they differ from domestic companies. First of all, we will define the term Offshore. Offshore means located or situated beyond one’s national boundaries. 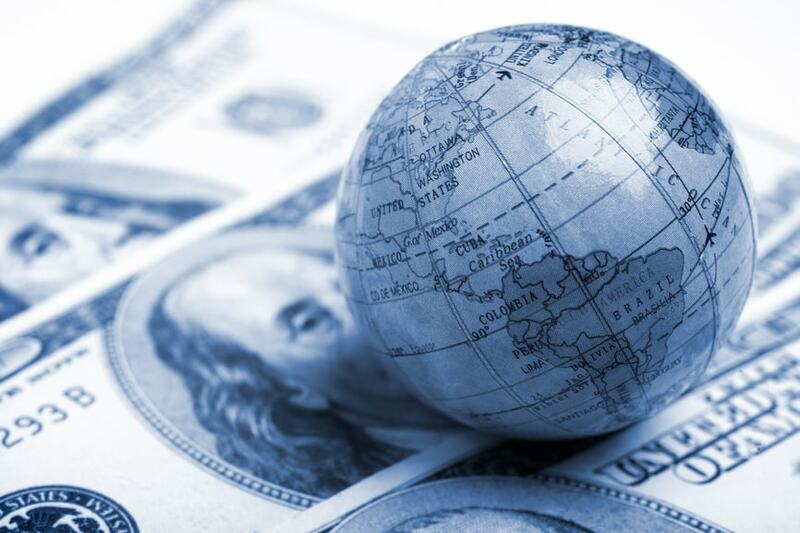 The term Offshore Company has two definitions depending on its perspective. From the standpoint of the principals of the company, it is a company that has been filed outside of the country where its principals (officers, directors, shareholders, members, partners) reside. From within its country of formation, it is a company that has been formed for the purpose of operating outside of the jurisdiction where it was originally filed. The reason why one would form such an entity is often to take advantage of laws that are not available in one’s country of residence. Examples of these benefits may be tax savings, asset protection from lawsuits or to take advantage of foreign business opportunities. The reason why a country would offer such entities is to bring revenue to the jurisdiction in the way of filing fees and fees to the agents that form such entities. For example, jurisdictions such as Nevis, BVI, Belize and the Cook Islands have little in the way of natural resources. So, they have created unique offshore company laws that make it attractive for foreign investors to form entities and/or hold capital within their borders. As an illustration, an offshore company filed in the Caribbean island of Nevis can hold a bank account in that country or other countries but it cannot operate a business within the country of Nevis. Nevis LLC legal statutes were written to protect the assets held inside the company from being seized by lawsuits and creditors. So, those who do research on creditor protection may chose Nevis as the jurisdiction to form their entity. One tax-savings example is Apple, Inc., the technology company headquartered in Cupertino, California in the United States of America. Apple established offshore companies in Ireland. Neither the Irish holding company nor the Irish corporation that is the principal company, as of this writing, have paid any income taxes in Ireland for the past several years. If a company is associated with another company doing business in Ireland, this country allows some Irish companies to claim non-residence status. Therefore, this allows Apple’s main company to not pay taxes anywhere at all. US law asks where a company was filed (IRC Sec. 7701(a)(5)). Irish law asks where a company is managed and controlled. Since the laws of neither country define the company as resident, no tax treaty does either. Therefore, Apple’s nonresident subsidiaries are not covered by the tax treaty between the US and Ireland. In contrast, a domestic, or local company is a corporation or partnership that is created or organized for the purpose of operating from its country of formation. Typically, the officers, directors and, most often, the owners are located in the same nation in which the organization was filed. It can conduct business within the borders of the country where it was formed, in addition to other countries if certain requirements are met. For example, UBS Bank is filed as UBS Group AG the Swiss Canton of Zurich. It conducts business in that country and has also registered to conduct banking business outside of Swiss borders. An offshore company, similar to a domestic one, can open bank accounts, own property, operate a business, enter into written agreements, buy and sell and engage in other forms of commerce. Also known as an International Business Company (IBC or Offshore IBC), it generally does not have tax obligations in the country where it was formed. It needs to conduct its business outside of its country of formation. Offshore companies can be corporations, also known as “limited companies,” limited liability companies (LLCs) or limited partnerships, for example. Belize has a entities similar to LLCs called limited duration companies (LDCs). LDCs have 50 lifespans, at which time they can be renewed or re-filed. There are a number of jurisdictions where offshore incorporation can be conducted. These locations include Nevis, Belize, Cook Islands, BVI, Seychelles, Panama and Anguilla. The decision about where to file depends on the price, speed, ease, and reputation of the jurisdiction. For example, a Nevis LLC tends to be quite advantageous for the US person. This entity seems to offer superior asset protection and tax benefits. Assets held inside of a Nevis LLC can be shielded from creditors. Plus, an LLC in Nevis does not pay taxes in that jurisdiction. When the right forms are filed, it is simply an owner flow-through entity for tax purposes, without any income taxes at the company level. A Belize LDC offers other affordable means to protect assets and gain financial privacy from would-be litigants. Belize has a fairly robust banking system with debit cards and online access. The Cook Islands LLC offers benefits that are nearly identical to that of Nevis. Plus the asset protection provisions are superior to that of other jurisdictions. Cook Islands is located in the South Pacific in the same time zone as Hawaii. It has a very stable government, independent from, yet associated with New Zealand. In contrast to forming a company in a typical offshore territory, one can form an onshore company in a location that is offshore to the owner. This may be for legal or tax advantages. For example, a citizen or resident of the US can form a company in Hong Kong, the UK, Canada or Mexico. A person in the UK can incorporate in the US state of Florida, Delaware or Wyoming. An Australian resident may form a company in the US or UK. A Wyoming LLC with a foreign owner, for example, does not pay taxes on profits generated outside of the USA. To obtain more information or to conduct more research visit the Offshore Company home page. Links to articles from this page are categorized by topic.